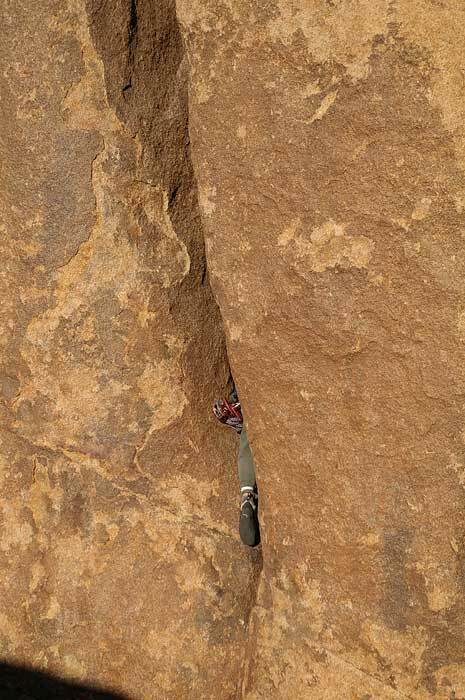 This route and its cousin, SixPack crack, live on the West face of the Foundry. The Foundry is the large blocky formation directly behind the JBMFP boulder across the street from Hidden Valley Campground. The easiest way to the routes is to go to the JBMFP Boulder and head up and right to a low angle ramp system that appears to cut left back behind the main formation. Follow this up with a bit of scrambling to a pretty good trail, some oak trees, and the West face of the Foundry. The routes are pretty obvious. 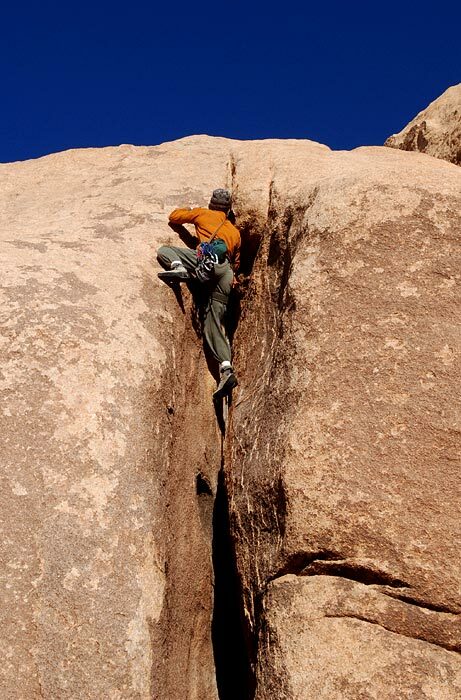 The Six Pack Crack is the route on the right. Jumar of Flesh is the chimney on the left. Gear, as per Will: Single set of cams from #0.75 camalot to 6 Friend. Save a #1 or #2 camalot for the last moves. Anchor takes 1/2" to 3/4" and 3" to 4" The route is only about 45' long so one cord is plenty. 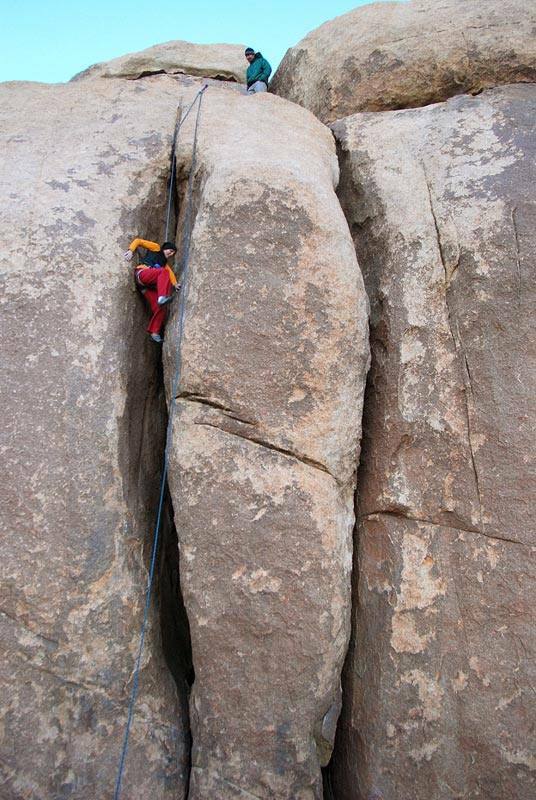 Maybe an extendo runner if you are going to lower off and belay at the base. The obvious squeeze chimney starting with a couple of face moves and handcrack, pulling into the bottom of the chimney (a little awkward), then straightforward easy knee and foot chimney, ending with a short bit of crack/face (crux) pulling out of the top of the chimney section. Tops out on a nice big ledge. Good route for a cold day. The dark rock will soak up the heat. 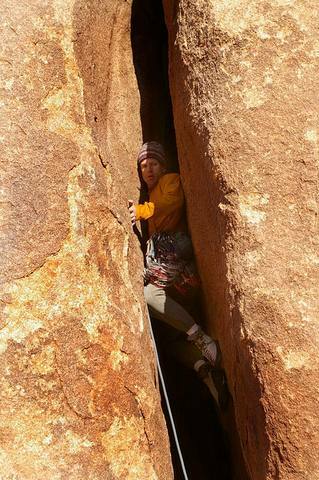 Scramble off climbers' right.